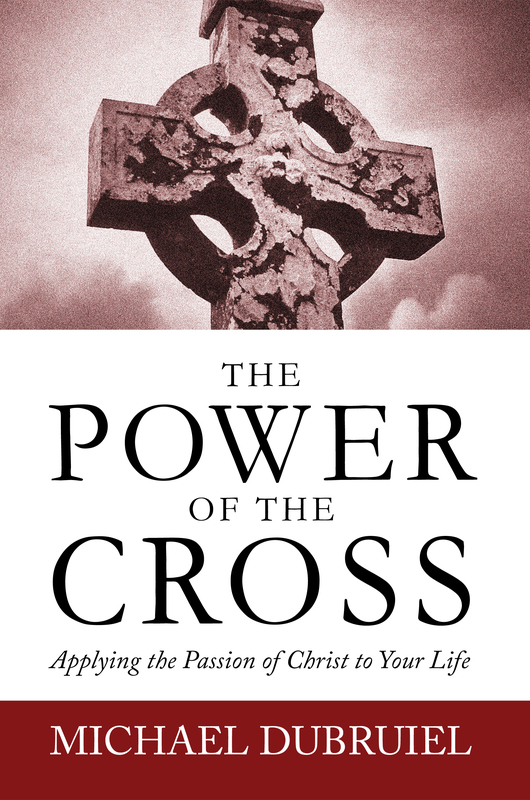 "We just finished your bible study :Power of the Cross' - ABSOLUTELY WONDERFUL!!!!!!!. It was soooo Catholic and thank you for speaking the truth. We have a lot of Catholics out there (including myself) who missed these lessons over the last 20 years. We have made Catholicism what we wanted it to be. Not how is really is. I believe it opened the eyes of a lot of the ladies in the group." "The press has been quick to characterize Ratzinger as an inflexible and mean-spirited theologian, but I know him to be different. On one visit to him I was accompanied by one of my first grandsons, a boy who is healthy now but who had been born prematurely and had a very rough beginning. I asked Brother Joseph to bless him, and he is now a strapping fourth grader who throws a ball, plays chess, and proudly strums on a guitar. Who knows how much the heartfelt prayer of this old man helped?" "Our Sunday Visitor, an Indiana publisher of Catholic literature, bulletin inserts and offering envelopes, drew up a contract with a writer two years ago for a book about the papal succession. We Have a Pope! was expected to go to press this week, less than a month after Pope John Paul II died. 'It's being edited as it's being written. It's very stressful,' said acquisitions editor Michael Dubruiel. 'We're looking to really say, who is this man? And how is he not the caricature of him in the mainstream press?' Dubruiel said. He expects an initial printing of 40,000 copies of We Have a Pope!, about four times more than usual for the publisher." Pope Benedict was on Saturday moving into the papal apartment where John Paul died and was expected to deliver the weekly blessing from there for the first time on Sunday, Vatican sources said. The bedroom and bathroom have both been repainted and special medical facilities installed for the ailing John Paul have been removed from one of the rooms in the suite. Includes color images of the new pope! Great price on Amazon...$14.95 retail..
"Six years ago, I wrote a biography of the man who is now pope titled Cardinal Ratzinger: The Vatican's Enforcer of the Faith. In the intervening period, I have learned a few things about the universal Catholic church and how things look from different perspectives. If I were to write the book again today, I'm sure it would be more balanced, better informed, and less prone to veer off into judgment ahead of sober analysis. " "A Polish priest at the Vatican was accused Wednesday of collaborating with the communist-era secret police during the 1980s when Pope John Paul II was inspiring his countrymen to resist the Soviet-backed regime. The Rev. Konrad Stanislaw Hejmo, a Dominican, acknowledged late Wednesday he had shared reports that he wrote for Polish church officials with an acquaintance, a Pole who lived in Germany, but said he did not suspect the man might have been a spy. The accusations originated with Leon Kieres, head of the National Remembrance Institute that guards communist-era police files. At a news conference Wednesday he said Hejmo 'was a secret collaborator of the Polish secret services under the names Hejnal and Dominik. " "Pope Benedict's ascent to the papacy took a conclave of 115 cardinals, four rounds of voting and followed a lifetime of service to the Vatican. But ask Internet doomsayers eyeing a 12th century Catholic prophecy and they'll tell you it was all stitched up more than eight centuries ago and that judgment day is nigh. The prophecy -- widely dismissed by scholars as a hoax -- is attributed to St. Malachy, an Irish archbishop recognized by members of the Church for his ability to read the future. Benedict, believers say, fits the description of the second-to-last pope listed under the prophecy before the Last Judgement, when the bible says God separates the wicked from the righteous at the end of time. " "In addition to visiting Germany in August for the 2005 World Youth Day, Pope Benedict XVI may also travel to the Polish city of Krakow and the Fatima Shrine in Portugal. A few days ago the Holy Father confirmed he would be present at World Youth Day in his country of origin and on Sunday he promised Governor Edmund Stoiber of Bavaria that he wishes to visit the German state where he was born "soon." According the Italian press, a visit to Krakow, where Pope John Paul II was archbishop, on the way to Cologne is under consideration. For his part the Prefect of the Congregation for the Causes of the Saints, Cardinal Jose Saraiva Martins, suggested that the Pontiff could visit Fatima in 2006 to canonize Marian visionaries Francisco and Jacinta Marto." "I hope that you will pray fervently for our new Pope in the days ahead. The day after his election our friars and sisters had a deeply prayerful Mass for him and for the guidance of the Holy Spirit upon him in these difficult times. He has taken for his patron St. Benedict, who is the patron of Europe. People wondered why he took that name. He also was born on the feast of my patron St. Benedict Joseph Labre April 16th. God has chosen a faithful and hard working totally dedicated servant, who had every reason to expect that he could retire to a life of prayer and writing. Now he must become the shepherd of the flock. In my recent thank you note to Cardinal Ratzinger I mentioned a saying that the old German Capuchins used to have ?we get too soon old and too late smart. I said Your Eminence if I may say so, only the first part is true of you.'" Benedict played to the crowd, telling them: "My roots are in Bavaria and I'm still Bavarian as bishop of Rome." At the start of the audience, Benedict apologized to the crowds for arriving late, explaining that a meeting with religious leaders who attended his inauguration Mass ran long. "The Germans are used to punctuality," he joked. "I'm already very Italian." "In his most formative years, Ratzinger heard Nazi propaganda shouting that there is no truth, no justice, there is only the will of the people (enunciated by its leader). As its necessary precondition, Nazism depended on the debunking of objective truth and objective morality. Truth had to be derided as irrelevant, and naked will had to be exalted. To anybody who said: "But that's false!" the Nazi shouted, "That's just your opinion, and who are you, compared to Der Fuehrer?" To anybody who said, "But what you are doing is unjust!" the Nazi shouted louder, "Says you, swine." Relativism means this: Power trumps. Ratzinger experienced another set of loud shouters in the 1968 student revolution at Tubingen University, this time in the name of Marxist rather than Nazi will. Marxism as much as Nazism (though in a different way) depended on the relativization of all previous notions of ethics and morality and truth " "bourgeois" ideas, these were called. People who were called upon by the party to kill in the party's name had to develop a relativist's conscience. In today's liberal democracies, Ratzinger has observed, the move to atheism is not, as it was in the 19th century, a move toward the objective world of the scientific rationalist. That was the "modern" way, and it is now being rejected, in favor of a new "post-modern" way. The new way is not toward objectivity, but toward subjectivism; not toward truth as its criterion, but toward power. This, Ratzinger fears, is a move back toward the justification of murder in the name of "tolerance" and subjective choice. Along with that move, he has observed (haven't we all? ), comes a dictatorial impulse, to treat anyone who has a different view as "
It was 85 last Monday, today it is cold and snowing! The symbol of the lamb also has a deeper meaning. In the ancient Near East, it was customary for kings to style themselves shepherds of their people. This was an image of their power, a cynical image: to them their subjects were like sheep, which the shepherd could dispose of as he wished. When the shepherd of all humanity, the living God, Himself became a lamb, He stood on the side of the lambs, with those who are downtrodden and killed. This is how He reveals Himself to be the true shepherd: 'I am the Good Shepherd . . . I lay down my life for the sheep,' Jesus says of Himself (Jn 10:14ff). It is not power, but love that redeems us! This is God's sign: He Himself is love. How often we wish that God would make show Himself stronger, that He would strike decisively, defeating evil and creating a better world. All ideologies of power justify themselves in exactly this way, they justify the destruction of whatever would stand in the way of progress and the liberation of humanity. We suffer on account of God's patience. And yet, we need His patience. God, Who became a lamb, tells us that the world is saved by the Crucified One, not by those who crucified Him. The world is redeemed by the patience of God. It is destroyed by the impatience of man. "'May the Lord have mercy and bless us; may his light shine upon us. On April 19, 2005, the cardinals of the Holy Roman Church elected me Bishop of Rome and Pastor of the universal Catholic Church. In announcing my election and the solemn inauguration of my pontificate, on Sunday, April 24, at 10 o'clock, I trust in the help of the Almighty to continue with the dialogue and to reinforce collaboration with the sons and daughters of the Jewish people. Vatican, April 20, 2005, Benedictus XVI.'" A Hint of this Pontificate's Direction? "Q: Do you think that the Church, especially in the Western world, is prepared to address de-Christianization and the great void that is left? Or is there still among the men of the Church a vision of Christianity, and not of a missionary Church? We always work on our internal problems and we do not realize that the world is in need of answers; it does not know how to live. The world's inability to live properly is seen in drugs, terrorism, etc. Therefore, the world is thirsty for answers -- and we remain with our problems. I am convinced that if we go out to meet others, and we present the Gospel to them in an appropriate way, even our internal problems will be relativized and resolved. This is a fundamental point: We must make the Gospel accessible to today's secularized world. " A German journalist standing under then Cardinal Ratzinger's residence commented: 'For a German professor, what is most important are his books. And now he is collecting them.' "
Thanks to Lisa at Catholic Mom's ! One commentor points out something that is so simple that I'm amazed no one else has picked up on it, but the Pope's birthday last Saturday is the feast of St. Benedict Joseph Labre, from which he gets his Christian name Joseph and now has taken a papal name Benedict. My wife accused me of becoming Spirit Daily on this (Spirit Daily is my favorite web site so I took that as a compliment!). But I've updated my comments on this to reflect this election and why I think this bodes well for this papacy (for believers in Christ who believe that the Catholic Church is the church that He founded!). "In the midst of this endless sea, two solid columns, a short distance apart, soar high into the sky. One is surmounted by a statue of the Immaculate Virgin, at whose feet a large inscription reads Auxilium Christianorum (Help of Christians). The other, far loftier and sturdier, supports a Host of proportionate size, and bears beneath it the inscription Salus credentium (Salvation of believers). The flagship commander -- the Roman Pontiff -- standing at the helm, strains every muscle to steer his ship between the two columns, from whose summits hang many anchors and strong hooks linked to chains. The entire enemy fleet closes in to intercept and sink the flagship at all costs. They bombard it with everything they have: books and pamphlets, incendiary bombs, firearms, cannons. The battle rages ever more furious. Beaked prows ram the flagship again and again, but to no avail, as unscathed and undaunted, it keeps on its course. At times, a formidable ram splinters a gaping hole in its hull, but immediately, a breeze from the two columns instantly seals the gash. Meanwhile, enemy cannons blow up; firearms and beaks fall to pieces; ships crack up and sink to the bottom. In blind fury, the enemy takes to hand-to-hand combat, cursing and blaspheming. Suddenly the Pope falls, seriously wounded. He is instantly helped up, but struck a second time, dies. A shout of victory rises from the enemy, and wild rejoicing sweeps their ships. But no sooner is the Pope dead than another takes his place. The captains of the auxiliary ships elected him so quickly that the news of the Pope's death coincides with that of his successor's election. The enemy's self-assurance wanes. The violent attackers (Soviet Union?) are destroyed, so that attack becomes even more personal and one might even say from within. The Pope is attacked (and of course this happened literally to Pope John Paul II and one wonders if the second "strike" was not his illness). Now we move to the present. Cardinal Ratzinger has been elected by the Cardinals -- one could say that news of his election was almost as soon as the Pope's death, since he immediately was being said to be a front runner (when only months before next to no one thought that to be the case calling him too divisive,etc.) and his election was one of the shortest ever...remember dreams even prophetic are symbolic and use symbolic langauge--what is startling about much of John Bosco's dream is how literal much of it is. One could also see that if Pope Benedict XVI were to be even more stringent in carrying out John Paul's program of reform that the enemies (especially those within the church) would probably finally give up their battle against the Faith. Someone mentioned this to me this morning thinking that those who continue to attack the church seeking great changes may finally tire of the battle or concede it to orthodoxy. This should give every true believer great hope in this pontificate! The enemies of the Church essentially destroy each other in thier retreat--may this come to pass and soon! Some auxiliary ships, which had gallantly fought alongside their flagship, are the first to tie up at the two columns. Many others, which had fearfully kept far away from the fight, stand still, cautiously waiting until; the wrecked enemy ships vanish under the waves. Then they too head for the two columns, tie up at the swinging hooks and ride safe and tranquil beside their flagship. A great calm now covers the sea. " These auxiliary ships deserve mention. While there have been some dioceses that have blazened a path of orthodox renewal, there have been more that have sat off in the distance with less vigor and energy--almost as thought they were waiting to see who is going to win in the end. Pope John Paul II predicted a new spring time in the church...we may be on the very threshold of that now! "Grace and peace in abundance to all of you! In my soul there are two contrasting sentiments in these hours. On the one hand, a sense of inadequacy and human turmoil for the responsibility entrusted to me yesterday as the Successor of the Apostle Peter in this See of Rome, with regard to the Universal Church. On the other hand I sense within me profound gratitude to God Who - as the liturgy makes us sing - does not abandon His flock, but leads it throughout time, under the guidance of those whom He has chosen as vicars of His Son, and made pastors. "The death of the Holy Father John Paul II, and the days which followed, were for the Church and for the entire world an extraordinary time of grace. The great pain for his death and the void that it left in all of us were tempered by the action of the Risen Christ, which showed itself during long days in the choral wave of faith, love and spiritual solidarity, culminating in his solemn funeral. "We can say it: the funeral of John Paul II was a truly extraordinary experience in which was perceived in some way the power of God Who, through His Church, wishes to form a great family of all peoples, through the unifying force of Truth and Love. In the hour of death, conformed to his Master and Lord, John Paul II crowned his long and fruitful pontificate, confirming the Christian people in faith, gathering them around him and making the entire human family feel more united. "How can one not feel sustained by this witness? How can one not feel the encouragement that comes from this event of grace? "Surprising every prevision I had, Divine Providence, through the will of the venerable Cardinal Fathers, called me to succeed this great Pope. I have been thinking in these hours about what happened in the region of Cesarea of Phillippi two thousand years ago: I seem to hear the words of Peter: 'You are Christ, the Son of the living God,' and the solemn affirmation of the Lord: 'You are Peter and on this rock I will build my Church ... I will give you the keys of the kingdom of heaven'. "You are Christ! You are Peter! It seems I am reliving this very Gospel scene; I, the Successor of Peter, repeat with trepidation the anxious words of the fisherman from Galilee and I listen again with intimate emotion to the reassuring promise of the divine Master. If the weight of the responsibility that now lies on my poor shoulders is enormous, the divine power on which I can count is surely immeasurable: 'You are Peter and on this rock I will build my Church'. Electing me as the Bishop of Rome, the Lord wanted me as his Vicar, he wished me to be the 'rock' upon which everyone may rest with confidence. I ask him to make up for the poverty of my strength, that I may be a courageous and faithful pastor of His flock, always docile to the inspirations of His Spirit. "To you, Lord Cardinals, with a grateful soul for the trust shown me, I ask you to sustain me with prayer and with constant, active and wise collaboration. I also ask my brothers in the episcopacy to be close to me in prayer and counsel so that I may truly be the 'Servus servorum Dei' (Servant of the servants of God). As Peter and the other Apostles were, through the will of the Lord, one apostolic college, in the same way the Successor of Peter and the Bishops, successors of the Apostles - and the Council forcefully repeated this - must be closely united among themselves. This collegial communion, even in the diversity of roles and functions of the Supreme Pontiff and the bishops, is at the service of the Church and the unity of faith, from which depend in a notable measure the effectiveness of the evangelizing action of the contemporary world. Thus, this path, upon which my venerated predecessors went forward, I too intend to follow, concerned solely with proclaiming to the world the living presence of Christ. "Before my eyes is, in particular, the witness of Pope John Paul II. He leaves us a Church that is more courageous, freer, younger. A Church that, according to his teaching and example, looks with serenity to the past and is not afraid of the future. With the Great Jubilee the Church was introduced into the new millennium carrying in her hands the Gospel, applied to the world through the authoritative re-reading of Vatican Council II. Pope John Paul II justly indicated the Council as a 'compass' with which to orient ourselves in the vast ocean of the third millennium. Also in his spiritual testament he noted: ' I am convinced that for a very long time the new generations will draw upon the riches that this council of the 20th century gave us'. "I too, as I start in the service that is proper to the Successor of Peter, wish to affirm with force my decided will to pursue the commitment to enact Vatican Council II, in the wake of my predecessors and in faithful continuity with the millennia-old tradition of the Church. Precisely this year is the 40th anniversary of the conclusion of this conciliar assembly (December 8, 1965). With the passing of time, the conciliar documents have not lost their timeliness; their teachings have shown themselves to be especially pertinent to the new exigencies of the Church and the present globalized society. "In a very significant way, my pontificate starts as the Church is living the special year dedicated to the Eucharist. How can I not see in this providential coincidence an element that must mark the ministry to which I have been called? The Eucharist, the heart of Christian life and the source of the evangelizing mission of the Church, cannot but be the permanent center and the source of the petrine service entrusted to me. "The Eucharist makes the Risen Christ constantly present, Christ Who continues to give Himself to us, calling us to participate in the banquet of His Body and His Blood. From this full communion with Him comes every other element of the life of the Church, in the first place the communion among the faithful, the commitment to proclaim and give witness to the Gospel, the ardor of charity towards all, especially towards the poor and the smallest. "In this year, therefore, the Solemnity of Corpus Christ must be celebrated in a particularly special way. The Eucharist will be at the center, in August, of World Youth Day in Cologne and, in October, of the ordinary Assembly of the Synod of Bishops which will take place on the theme "The Eucharist, Source and Summit of the Life and Mission of the Church.' I ask everyone to intensify in coming months love and devotion to the Eucharistic Jesus and to express in a courageous and clear way the real presence of the Lord, above all through the solemnity and the correctness of the celebrations. "I ask this in a special way of priests, about whom I am thinking in this moment with great affection. The priestly ministry was born in the Cenacle, together with the Eucharist, as my venerated predecessor John Paul II underlined so many times. 'The priestly life must have in a special way a 'Eucharistic form', he wrote in his last Letter for Holy Thursday. The devout daily celebration of Holy Mass, the center of the life and mission of every priest, contributes to this end. "Nourished and sustained by the Eucharist, Catholics cannot but feel stimulated to tend towards that full unity for which Christ hoped in the Cenacle. Peter's Successor knows that he must take on this supreme desire of the Divine Master in a particularly special way. To him, indeed, has been entrusted the duty of strengthening his brethren. "Thus, in full awareness and at the beginning of his ministry in the Church of Rome that Peter bathed with his blood, the current Successor assumes as his primary commitment that of working tirelessly towards the reconstitution of the full and visible unity of all Christ's followers. This is his ambition, this is his compelling duty. He is aware that to do so, expressions of good feelings are not enough. Concrete gestures are required to penetrate souls and move consciences, encouraging everyone to that interior conversion which is the basis for all progress on the road of ecumenism. "Theological dialogue is necessary. A profound examination of the historical reasons behind past choices is also indispensable. But even more urgent is that 'purification of memory,' which was so often evoked by John Paul II, and which alone can dispose souls to welcome the full truth of Christ. It is before Him, supreme Judge of all living things, that each of us must stand, in the awareness that one day we must explain to Him what we did and what we did not do for the great good that is the full and visible unity of all His disciples. "The current Successor of Peter feels himself to be personally implicated in this question and is disposed to do all in his power to promote the fundamental cause of ecumenism. In the wake of his predecessors, he is fully determined to cultivate any initiative that may seem appropriate to promote contact and agreement with representatives from the various Churches and ecclesial communities. Indeed, on this occasion too, he sends them his most cordial greetings in Christ, the one Lord of all. "In this moment, I go back in my memory to the unforgettable experience we all underwent with the death and the funeral of the lamented John Paul II. Around his mortal remains, lying on the bare earth, leaders of nations gathered, with people from all social classes and especially the young, in an unforgettable embrace of affection and admiration. The entire world looked to him with trust. To many it seemed as if that intense participation, amplified to the confines of the planet by the social communications media, was like a choral request for help addressed to the Pope by modern humanity which, wracked by fear and uncertainty, questions itself about the future. "The Church today must revive within herself an awareness of the task to present the world again with the voice of the One Who said: 'I am the light of the world; he who follows me will not walk in darkness but will have the light of life.' In undertaking his ministry, the new Pope knows that his task is to bring the light of Christ to shine before the men and women of today: not his own light but that of Christ. "With this awareness, I address myself to everyone, even to those who follow other religions or who are simply seeking an answer to the fundamental questions of life and have not yet found it. I address everyone with simplicity and affection, to assure them that the Church wants to continue to build an open and sincere dialogue with them, in a search for the true good of mankind and of society. "From God I invoke unity and peace for the human family and declare the willingness of all Catholics to cooperate for true social development, one that respects the dignity of all human beings. "I will make every effort and dedicate myself to pursuing the promising dialogue that my predecessors began with various civilizations, because it is mutual understanding that gives rise to conditions for a better future for everyone. "I am particularly thinking of young people. To them, the privileged interlocutors of John Paul II, I send an affectionate embrace in the hope, God willing, of meeting them at Cologne on the occasion of the next World Youth Day. With you, dear young people, I will continue to maintain a dialogue, listening to your expectations in an attempt to help you meet ever more profoundly the living, ever young, Christ. "'Mane nobiscum, Domine!' Stay with us Lord! This invocation, which forms the dominant theme of John Paul II's Apostolic Letter for the Year of the Eucharist, is the prayer that comes spontaneously from my heart as I turn to begin the ministry to which Christ has called me. Like Peter, I too renew to Him my unconditional promise of faithfulness. He alone I intend to serve as I dedicate myself totally to the service of His Church. "In support of this promise, I invoke the maternal intercession of Mary Most Holy, in whose hands I place the present and the future of my person and of the Church. May the Holy Apostles Peter and Paul, and all the saints, also intercede. "With these sentiments I impart to you venerated brother cardinals, to those participating in this ritual, and to all those following to us by television and radio, a special and affectionate blessing." After the great Pope John Paul II, the Lord Cardinals have elected me, a simple and humble worker in the vineyard of the Lord. I am consoled by the fact that the Lord knows how to act, even with inadequate instruments and above all I entrust myself to your prayers. In the joy of the Risen Lord, trusting in His permanent help, as we go forward the Lord will help us, and His Mother, Mary Most Holy, is on our side Thank you." Great news... did anyone notice that his coat of arms was almost exactly like John Paul's? I see this as a further fulfillment of St. John Bosco's prophecy (see below). May God bless this papacy! No one could tell what color smoke was coming out this morning but there were no bells and no appearance on the balcony...I'm guessing this probably means no Cardinal Ratzinger for the next pope. First balloting complete, no new pope! Plenty of confusion though on what color the smoke was for a few minutes, anyway. 4:30 p.m. (10:30 a.m. EDT): Cardinals enter the Sistine Chapel, then take their oath of secrecy and hear a meditation from a senior cardinal. After taking their oath, the cardinals will decide whether to take a first vote Monday or wait until Tuesday morning. 7:30 a.m. (1:30 a.m. EDT): Cardinals celebrate Mass in the hotel chapel. 9 a.m. (3 a.m. EDT): Cardinals gather in Sistine Chapel for two rounds of balloting if new pope not elected Monday. Noon (6 a.m. EDT): Approximate time of first smoke signal from Sistine Chapel. It will indicate whether a new pope has been chosen (white smoke) or no decision has been made (black smoke) in the morning session of balloting. The smoke is from the burning of the secret ballots after the two rounds of voting held mornings and afternoons. 4 p.m. (10 a.m. EDT): Cardinals return to the Sistine Chapel for two rounds of afternoon balloting. 7 p.m. (1 p.m. EDT): Approximate time of smoke signal after second round of voting. The rest of the days of the conclave are expected to follow Tuesday's schedule. The Vatican spokesman said smoke signals from burned ballot papers could likely be seen at about noon (6 a.m. EDT) or 7 p.m. (1 p.m. EDT) each day --unless a winner is elected Monday in a first ballot." before a new pope is chosen...pray it too! "Come Holy Ghost" is one English translation (rather poor one in my opinion) but well known, so if you do not know Latin you can sing that as your prayer. Here is a link to an English translation. They come here, to this very place. Tu es Petrus--once heard by Simon, son of John. Michelangelo's vision must then speak to them. the keys of the Kingdom. It is granted man once to die, and thereafter, the Judgment! You who see all, point to him! Before anyone thinks that I'm bashing Garabandal they should know that I owe my conversion to seeing the film on these apparitions back in the 1970's. I find the prediction intriquing when matched with the Divine Mercy prediction that "out of Poland will come a spark that will prepare the world for my final coming." Both seem dire predictions, John Bosco's dream seems more hopeful--but perhaps they all are it is just our perception that sees God's reign as threatening...yet Jesus said "I will show who to fear...fear him who can cast you into Gehenna...not a sparrow falls...fear not then" only "trust." None of these visions, predictions are required belief but they do seem to converge on a number of points. Will something happen in the very near future that will both be an awakening of sorts that will bring people back to their senses? Will the next pope anchor the Church steadfastly to Christ? "One of the more startling prophecies of Garabandal concerns the three popes who have followed Blessed Pope John XXIII (1958-1963), and especially the last of the three: our current pontiff, John Paul II (1978-present). Our present pope supposedly will witness the great miracle at Garabandal, and the end of his reign supposedly will usher in “the end of the times” (el fin de los tiempos, in the original Spanish). The careful reader will note the use of the adjective “supposedly” twice in the previous sentence. This is deliberate. While one can speculate that Pope John Paul II may indeed be the pope who will witness the miracle, it is just that, speculation. It may be that he will see it, yet it also may be for another to see it. We simply do not know. What is certain, however, is that by the end of the current pope’s reign — whenever that may be — a very definite end of the present times, or “era”, will have occurred. In fact, one can argue convincingly that this time already has come, a point that will be addressed in more detail in the second part of this article." Now we move to the present. If Cardinal Ratzinger were elected by the Cardinals (and even at this moment that would be a great surprise) one could say that news of his election was almost as soon as the Pope's death...remember dreams even prophetic are symbolic and use symbolic langauge--what is startling about much of John Bosco's dream is how literal much of it is. One could also see that if a successor of John Paul were to be even more stringent in carrying out the previous pope's program that the enemies (especially those within the church) would probably finally give up their battle against the Faith. Pope John Paul II predicted a new spring time in the church...we may be on the very threshold of that as this week begins! Matt Bunson had mentioned the irony of Cardinal Ratzinger taking the name John if elected pope. "First, the push for Cardinal Joseph Ratzinger, the pope's doctrinal czar for 24 years and the dean of the College of Cardinals, is for real. There is a strong basis of support for Ratzinger in the college, and his performance in the period following the death of the pope, especially his eloquent homily at the funeral Mass, seems to have further cemented that support. One Vatican official who has worked with Ratzinger over the years said on April 13, "I am absolutely sure that Ratzinger will be the next pope." On the other hand, several cardinals have said privately that they're uncomfortable with the prospect of a Ratzinger papacy. It's not just that some don't believe his strong emphasis on the protection of Christian identity in a secular world ought to be the guiding light of the next papacy, but there's also a real-world concern about the election of a figure with his "baggage." Fairly or unfairly, Ratzinger is to some extent a lightning rod for Catholic opinion, and in a church that's already divided, some cardinals worry about exacerbating those divisions. One said April 12: "I'm not sure how I would explain this back home." If Ratzinger's candidacy stalls before reaching a two-thirds majority, meaning 77 out of the 115 votes in this conclave, the question then becomes, who might step in as an alternative? Here there simply seems to be no consensus as yet, even among the cardinals themselves. Several names are mentioned. Among the pro-Ratzinger forces, acceptable alternatives might include Jorge Mario Bergoglio of Argentina, Christoph Schoenborn of Austria, Angelo Scola of Venice, or even Ivan Dias of India For cardinals more interested in church reform or a pro-social justice agenda, figures such as Claudio Hummes or or Geraldo Majella Agnelo, both of Brazil, seem plausible. Alternatively, if a pastoral, moderate Italian emerges as a compromise candidate, men such as Severino Poletto or Ennio Antonelli might be strong runners. He did a licentiate at the Pontifical Biblical Institute in Rome from 1976 to 1980, and then from 1987 to 1992, he studied for the doctorate degree at the same institute. In addition to English and his native Fante, he also speaks French, Italian, German and Hebrew fluently, and has written knowledge of Latin and Greek. "The first half was nearly over, and there were hundreds of fans still outside standing in line to get tickets," reports Mike Bianchi of the Orlando (Fla.) Sentinel. "Except there weren't any more tickets. So fans actually bought blank slips of paper to get them into the stadium. "So, the flocks made the pilgrimage to see the unveiling of a young Catholic coach who is named after eight popes. The only thing missing from this coronation was the white papal smoke rising out of Century Tower to announce the new leader of Gator Nation. . . .
"There was such giddiness over Urban Meyer that the university had a chef cooking up made-to-order omelets for the media in the press box. For Ron Zook, I believe, we were served stale cornflakes and cold Pop-Tarts." "The day after John Paul II died, I attended Mass at the San Xavier del Bac mission south of Tucson, Ariz. The 'White Dove of the Desert' rises out of scrubby earth ringed by mountains. Sunday morning Masses at the mission are back-to-back and all crowded, busy affairs. In the gorgeous, rococo setting, angels dance on the ceiling in charming 18th-century garb and stare down at the living body of Christ, as they have for centuries. In a film on a recent restoration of the church, one expert remarks that the Franciscans who built the church 'would have used neon if it had existed.' He meant simply that the missioners knew the importance of making a splash, in a way that would simply get the curious through the door so that then the story --the good news-- could be preached and perhaps even heard. " "It would be an exaggeration to say that John G. McDonald is a nobody in the Roman Catholic Church. After all, among his 150 fellow students at the Pontifical North American College, the biggest U.S. seminary in Rome, McDonald is well-known for his shrimp gumbo, which everyone agrees is delicious, and for his colorful stories about growing up in the small town of Citronelle, Ala. But as a second-year theology student, still two years away from ordination as a priest, McDonald, 28, is not exactly a household name here. " The Next Pope "From the glory of the olive"
Make John Paul a Saint Immediately! "'We can be sure that our beloved Pope is standing today at the window of the Father's house, that he sees us and blesses us,' Cardinal Joseph Ratzinger told hundreds of thousands of people packed into a windswept St. Peter's Square. 'Santo subito' (Make him a saint immediately), the crowds chanted in Italian, holding up the Mass for more than 5 minutes in an outpouring of emotion for a giant of the 20th century who ruled his Church for more than 26 years. " "Follow me! Together with the command to feed his flock, Christ proclaimed to Peter that he would die a martyr's death. With those words, which conclude and sum up the dialogue on love and on the mandate of the universal shepherd, the Lord recalls another dialogue, which took place during the Last Supper. There Jesus had said: 'Where I am going, you cannot come.' Peter said to him, 'Lord, where are you going?' Jesus replied: 'Where I am going, you cannot follow me now; but you will follow me afterward.' (Jn 13:33,36). Jesus from the Supper went towards the Cross, went towards his resurrection - he entered into the paschal mystery; and Peter could not yet follow him. Now - after the resurrection - comes the time, comes this 'afterward.' By shepherding the flock of Christ, Peter enters into the paschal mystery, he goes towards the cross and the resurrection. The Lord says this in these words: '... when you were younger, you used to fasten your own belt and to go wherever you wished. But when you grow old, you will stretch out your hands, and someone else will fasten a belt around you and take you where you do not wish to go' (Jn 21:18). In the first years of his pontificate, still young and full of energy, the Holy Father went to the very ends of the earth, guided by Christ. But afterwards, he increasingly entered into the communion of Christ's sufferings; increasingly he understood the truth of the words: 'Someone else will fasten a belt around you.' And in this very communion with the suffering Lord, tirelessly and with renewed intensity, he proclaimed the Gospel, the mystery of that love which goes to the end (cf. Jn 13:1). The Vatican Web Site without the Papal Coat of Arms of Pope John Paul II, reality sets in. In the Name of the Holiest Trinity. Amen. "Keep watch, because you do not know which day when the Lord will come" — These words remind me of the final call, which will come the moment that the Lord will choose. I desire to follow Him and desire that all that is part of my earthly life shall prepare me for this moment. I do not know when it will come, but, like all else, this moment too I place into the hands of the Mother of My Master: Totus Tuus. Today is the transferred Solemnity of the Annunciation. One thinks of the pope's motto "Totus Tuus" referring to his total devotion to Mary as his body is displayed for the public to view in St. Peter's on this day. One also thinks of this day being the feast of the annunciation of the Lord's first coming and as the entire world focuses on the Church today...is this a universal manifestation...an annunciation of the second coming...."to prepare the world for my final coming"? There are plenty of atheist sites that can detail how many times people have announced the Lord's coming and been wrong. One of the things these sites detail is how the linkage of Good Friday with the Annunciation was thought to signal the end, but we know that Our Lord said "you know neither the day nor the hour," therefore "keep watch, be ready." It isn't something to predict but it is something to be prepared for....and I do think that the death of John Paul will lead to many people being prepared...at least for a few weeks. I wonder how many, like myself are already asking the intercession of John Paul? Pope John Paul II's funeral will be held Friday morning, and his remains will be interred in the grotto of St. Peter's Basilica where pontiffs throughout the ages have been laid to rest, the Vatican said Monday. Chief spokesman Joaquin Navarro-Valls made the announcement after the College of Cardinals met for 2 1/2 hours in its first gathering since the pope's death and ahead of a secret vote later this month to elect a successor to John Paul. Navarro-Valls said the basilica would remain open overnight except for three hours for cleaning every night this week to accommodate the thousands of mourners. "Pope John Paul II, before entering into the state of diminished consciousness, whispered to his personal secretary the eloquent phrase: "I am happy, be it yourselves as well." The message was mainly addressed to the priests and religious who have been serving the Pontiff in the last months. Nevertheless, the phrase, according to the Italian daily, has become a "testament" for all the faithful around the world." It is beyond reason what this pope accomplished in his pontificate. I told Amy I believe he will be canonized by his successor within five years. Like Bl. Mother Teresa God has blessed us with two great witnesses of his power. I also predict many will be converted or return to the faith because of his entry into Heaven. All as Evening Prayer I begins the Feast of Mercy. Jesus we trust in you and ask the John Paul to intercede for us that your church may be a light to the world in these days of mourning and thanksgiving! I read these words from St. Faustina's diary that were spoken to her by Jesus back in 1978. They were published before anyone had even thought of a Polish pope, but somehow one knew that Jesus was referring to this pope and twenty six years later the spark has spread it's fire throughout the world and the devotion to the Divine Mercy is one of the most popular. and another will gird you and carry you where you do not wish to go." And after this he said to him, "Follow me." It is Our Lord's message to St. Peter. I was reminded of this today at Mass when the Gospel reading was from John and the verses immediately preceding this passage. When I sent it to the Holy Father those many years ago I did so because I thought of how his embracing of the Petrine office was taking him away from his beloved Poland. But in these last years it has seemed even more prophetic as he is wheeled out and put around. If indeed he is the spark that was to prepare the world for the Lord's coming what awaits us after his entrance into the Father's Kingdom? "The world's cardinals, who will select John Paul II's successor, have been summoned to Rome, a sign that preparations are under way for a conclave, the secretive election procedure that must begin within three weeks of the pope's death. Another sign of the gravity of the pope's condition was a decision by the Vatican to keep open its press office, which normally closes at 3 p.m. "
DRUDGE REPORT 2005: "Chatolics pray in fear for Pope"
"Today bring to me those souls who especially glorify and venerate my mercy." All along Pope John Paul has been the pope that has transcended his office. Like St. Francis, in our own day Mother Teresa, he has been venerated by people of all faiths. One of his staunchest defenders in this country is a Jewish woman I befriended several years ago. He has been an Apostle of God's mercy and his pontificate has been a time of grace, of preparation. This pope has steered the barque of Peter between the pilars of devotion to Mary and the Eucharist...may we who now must go on in this culture of death hold on dearly to these gifts of our faith and trust in God's mercy to bring us to his kingdom. "The pope suffered heart failure during treatment for a urinary tract infection on Thursday, the Vatican said earlier Friday, but it denied an Italian news report that he was in a coma."